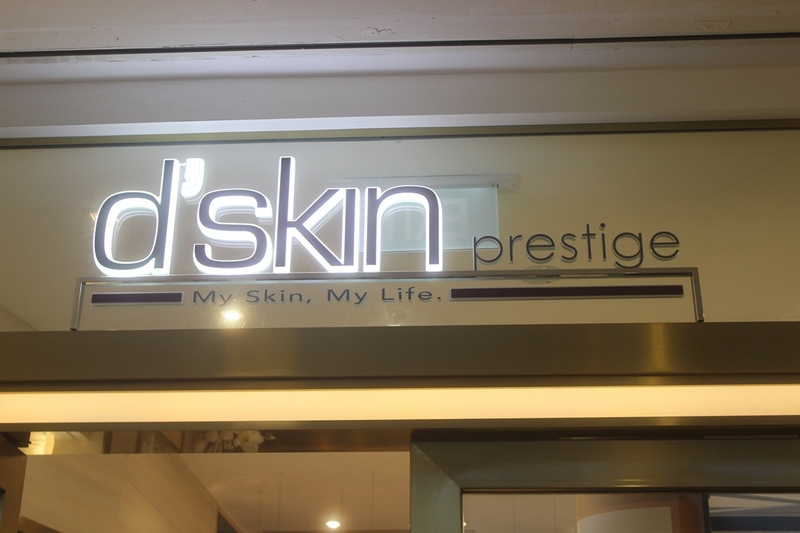 d’skin opened its newest space - d’skin Prestige, a medi-aesthetics hub at Velocity@Novena Square, a private oasis housing its most advanced and high intensity treatments. Featuring its esteemed skin- whitening, -brightening, -lifting and clarity-focused treatments, d’skin Prestige promises non-surgical treatments with “surgical” results. Behind the gold-hued décor, lies d’skin Prestige’s Top 5 technologies in the world featuring AFT, Alma, New Life and Venus Swan. These medical-grade technologies are the most-recognised and most effective aesthetics treatments for Lifting, Toning, Acne and Brightening in the beauty industry. d’skin has expertly fused the treatments, using the most advanced medical-grade aesthetic machines with its therapeutic protocols that is customised for each client, making each two-hour treatment effective and perfecting results for every skin condition. With this grand opening at Velocity, d’skin Prestige is the forerunner of Top 5 technologies in the world featuring AFT, Alma, New Life and Venus Swan, bringing advanced medical-grade technologies and effective aesthetic treatments for Lifting, Toning, Acne and Brightening in the beauty industry. Behind the gold-hued decor, d’skin has expertly fused the treatments with its therapeutic protocols that is customised for each client, making each two-hour treatment effective and perfecting results for every skin condition. Power V-Shape Facial Treatment (120 mins) – this Lifting Facial treatment harnesses the best of two worlds – toning with New Life and lifting with Venus Swan. Two technologies with Radio Frequency to stimulate lifting and firming through collagen production while New Life with Bio-Electric Fields (or Bio-Electric Acceleration Management) to encourage micro-lifting and muscle toning which imitates the body’s natural Bio-Electrical process by sending pre-defined electrical pulses through the system. AFT Treatment (90 mins) – AFT is short for Advanced Fluorescence Technology, this treatment uses the next generation of multi-application Pulsed Light Technology, converting unused UV light into optimal spectrum, utilizing short-wavelength light levels to heat the skin’s intended target – with little to no damage or discomfort, unlike other Pulsed Light technologies. Dermal Restructuring Treatment (90 mins) – Using the latest 3D Bi-polar Radio Frequency (RF) in Fractional RF equipment, the Dermal Restructuring facial treatment delivers controlled RF energy into various depth of the skin to increase tissue volume for firmness for the prime anti-ageing results. 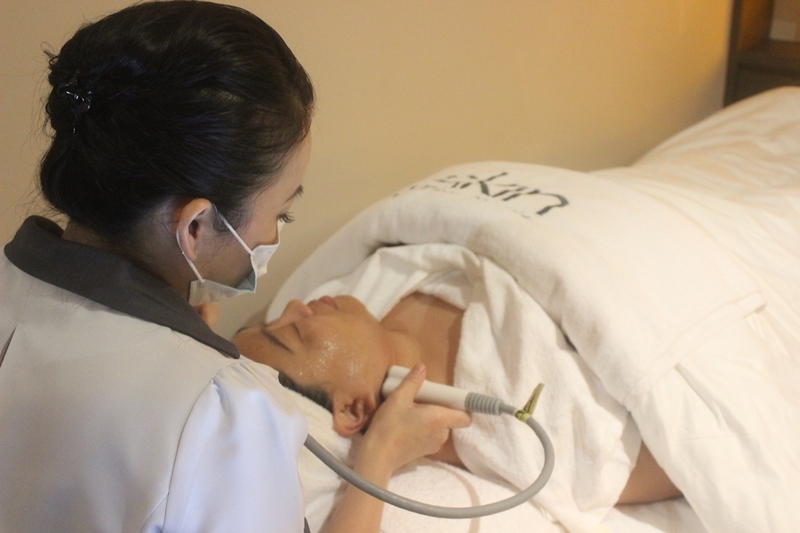 The treatment offers a clinical-grade solution to skin resurfacing and smoothening for acne-related skin conditions, scarring, enlarged pores as well as sagging skin, “smile” lines, dull and uneven skin and even lax skin on the neck. Power V-Shape Facial Treatment is now $988 for three sessions. AFT Facial Treatment is $888 for three sessions. Dermal Restructuring Treatment is $1,088 for three sessions.